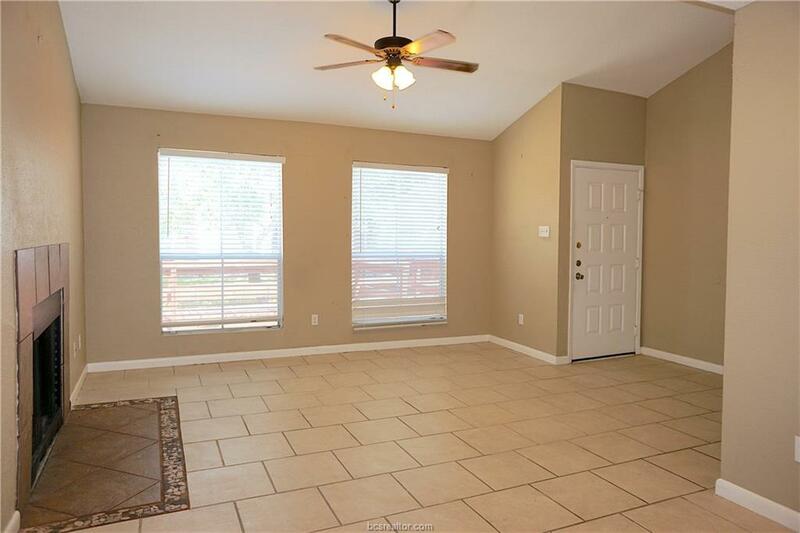 Excellent 2bed/1.5bath Sutter's Mill Condo with a two car carport, near the Texas A&M bus stop and a new roof (May 2018). 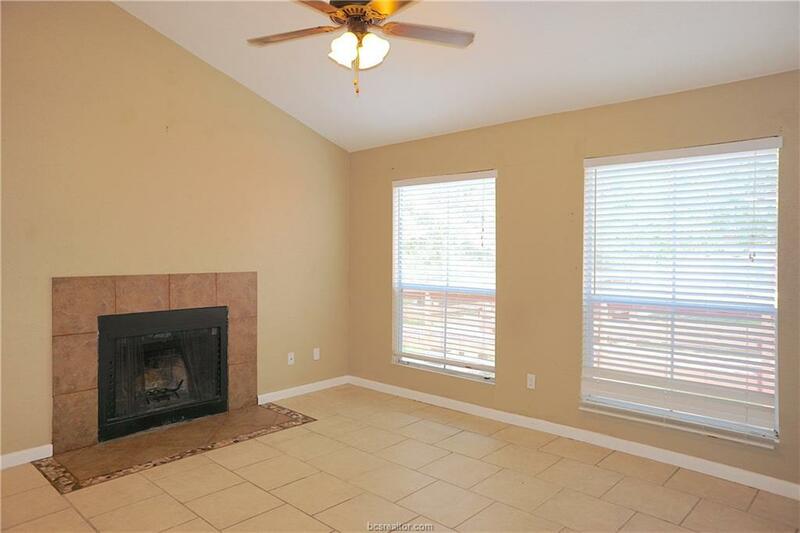 Features include tile floors throughout the common areas, large living room with fireplace, great kitchen with updated countertops, bar area and separate breakfast area, 1/2 bath downstairs, recessed lighting, two large bedrooms upstairs and more! 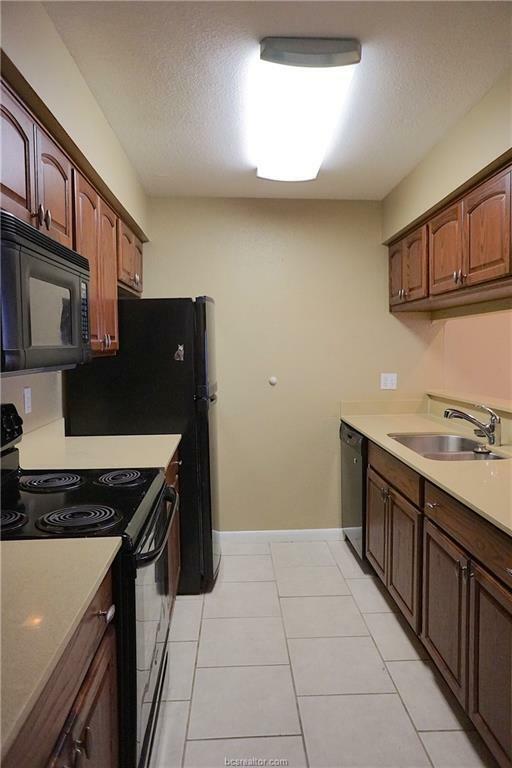 Conveniently located just minutes from Texas A&M, near the Texas A&M bus and close to great shopping and dining. Enjoy the two car carport, beautiful grounds, pool and convenience to everything. Refrigerator will remain. 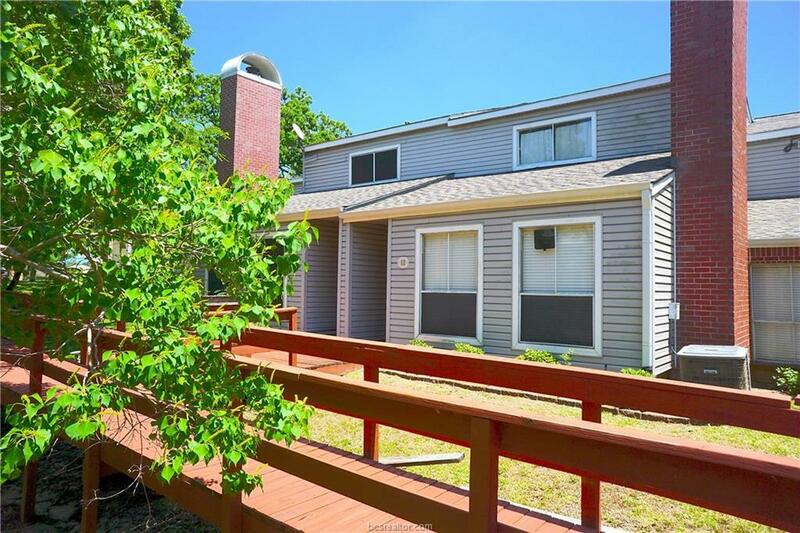 Leased for $800/month through 7/31/2019.